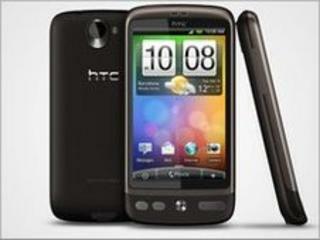 Image caption Smartphones, including the HTC Desire have helped the phone maker to achieve record sales. The Taiwanese smartphone maker HTC has reported a 41% sales increase for the first six months of 2010. Year-on-year revenues to the end of June increased from 69.8bn Taiwanese dollars (£1.4bn, $2.1bn) to 98.2bn Taiwanese dollars (£2bn, $3bn). Figures for the most recent three months reflected record sales, according to HTC. The figures beat analyst forecasts, reflecting a switch by HTC to newly emerging markets. "Normally, June is an off-peak season. The sales figures are really amazing," Michael Chiang of Taiwan International Securities told the AFP news agency. HTC previously specialised in making phones branded for specific mobile networks, such as O2's XDA smartphone. It is also the manufacturer behind Google's Nexus One phone. Whilst HTC continues with that business, it is expanding its own brands, such as the HTC Desire. Many of the firm's smartphones rely on the Google Android operating system, which rivals the Apple iOS, used in Apple iPhones. Geoff Blaber, a phone analyst at CCS Insight said: "HTC traditionally has been very much focused on the premium phone segment. "It is starting to address lower-cost, mass market segments." Earlier this year, a row erupted between HTC and Apple over the technology used in rival smartphones. In March, Apple alleged that HTC had infringed 20 patents Apple holds relating to the iPhone. In a statement at the time, Apple's chief executive Steve Jobs said: "We can sit by and watch competitors steal our patented inventions, or we can do something about it. "We think competition is healthy, but competitors should create their own original technology, not steal ours," he said. Two months later, in May, HTC countersued, alleging that Apple violated five patents held by the company. At the time, Jason Mackenzie, HTC vice president for North America, said: "We are taking this action against Apple to protect our intellectual property, our industry partners, and most importantly our customers that use HTC phones." The cases are yet to come to trial, and have echoes of a similar dispute between Nokia and Apple which began in 2009, with the Finnish mobile phone giant suing Apple, which then countersued at the end of the year. Mr Blaber said: "HTC is not the only company in dispute with Apple, and the reality is this is a dispute that is likely to continue for some time. "What tends to happen in these cases is that an agreement will be met with regards to cross-licensing, where one party agrees to licence something in return for access to another." On the Taiwanese stock exchange, shares in HTC closed up 5% at 495 Taiwanese dollars (£10, $15).